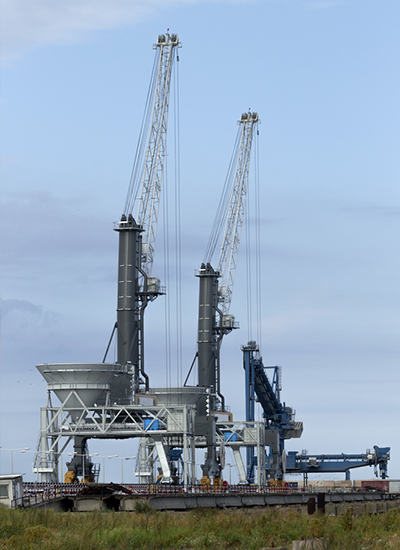 What is Dry Bulk Material Handling? Dry Bulk Material Handling refers to the process of storing, discharging and transporting dry materials, such as coal, wood chips and stone, in bulk quantities. 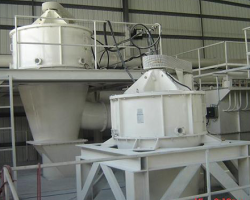 The type of equipment used in the dry bulk material handling industry is usually heavy, stationary machinery, specifically designed to handle dry and powdered materials. It is the machinery’s job to store and then transfer these dry materials from their source, to a secondary destination, where they’re then processed. Due to the flow characteristics of dry materials, it can be difficult to maintain them in a state that is easy to handle during the interim in which they are stored and transported. 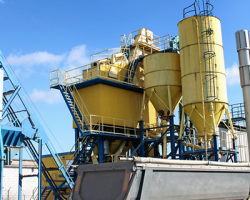 Considering that the transferring and processing of materials are paramount to almost all engineering and production fields, the handling of dry bulk material therefore poses a constant challenge to plant engineers and planners. Why? Because if the ability to handle, discharge and process dry material is not viable, then your business production rates will suffer as a result. In contrast to liquid and gases - which in the absence of pressure drops, do not significantly fluctuate in volumetric density - the bulk density of dry material is a constantly changing figure. This means that factors such as temperature, humidity and pressure can have a significant impact on the flow properties of dry bulk materials, especially powders. Unless your dry bulk loading equipment is designed to adapt to these changes, material flow and storage problems, such as those listed below are likely to occur as a result of dry material buildup. In this state, the flow rate of dry bulk materials is severely decreased, as the materials become viscous and compact together to form stagnant buildup. Furthermore, if the material builds up within the machines outlet, buildup can not only impede flow, but block it entirely. This could result in huge production losses and expensive downtime for your business. 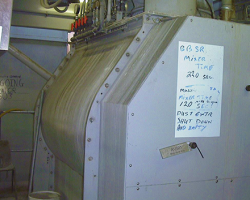 Given that it’s the job of dry bulk material equipment to not only store, but often to process and blend dry bulk materials, it is therefore paramount that machinery is always efficiently cleaned beforehand. If stagnated materials and buildup are not thoroughly removed from vessels before they’re loaded again, there is a risk of new materials becoming contaminated by the stagnated material. Even the smallest inconsistency as a result of material contamination, could affect the resultant quality of your product, potentially affecting it’s size, colour and even taste. A decrease in the quality and uniformity of your product, could ultimately result in your product becoming unusable. In severe cases of material buildup and blockages, where issues such as ratholing and material bridging develop, severe strain can be placed upon the inner walls of equipment, as a result of a rise in pressure. Not only will this structural stress leave your machinery susceptible to wear and tear, but if materials are able to build up and expand within small cracks, in response to fluctuations in temperature and humidity, it is more than likely that expensive damage will follow. Non Invasive - Unlike traditional industrial equipment cleaning methods, such as industrial vibrators and airblasters, Acoustic Cleaner do not produce high-impact blasts, but are instead designed to reflect sound from solid surfaces. This means that the soundwaves they transmit only penetrate targeted materials, rather than the structure of your bulk loading equipments. Acoustic Cleaning technology, therefore, prevents structural damage caused by intense machinery cleaning methods. Long-term Prevention - Unlike traditional loading equipment cleaners, which only deal with localised issues of dry material buildup that have already developed, the frequency of Acoustic Cleaners can be tailored to target larger areas. What’s more? By regularly dislodging all compacted materials, Acoustic Cleaners successfully prevents all surface buildup and the effects it can have upon your production rates. Increased Efficiency - Material buildup restricts the storage capacity of dry bulk loading equipment and in severe cases, causes what is referred to as ‘funnel flow’. Not only does this mean machinery operates at a reduced rate, but stagnant buildup is effectively wasted material and therefore wasted money. However, by eliminating all forms of surface buildup, Acoustic Cleaners will maintain the mass flow of materials and therefore the maximum working efficiency of your equipment.